Strengthen your body on the cellular level! 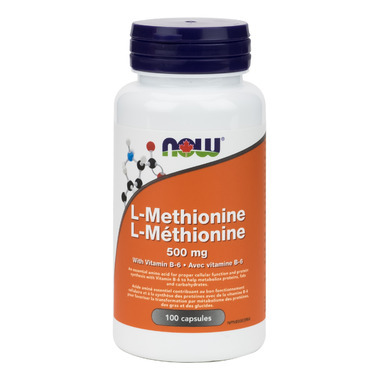 L-Methionine with vitamin B-6 aids in cell function and the synthesizing of proteins and fats. L-Methionine is classified as an essential amino acid, which means that it cannot be manufactured by the body. It must be obtained through the diet or by supplementation. L-Methionine supports the production of the cellular antioxidant, glutathione, thereby assists in natural detoxification processes. In the body, L-Methionine can also be converted into SAMe (S-Adenosyl Methionine), a compound that supports healthy joints.